Understanding the mid-century modern interior design style requires a little history lesson: Post WWII, the focus of American culture shifted back to life at home, and the world saw interior design with fresh eyes and a renewed positivity. Elvis Presley was on the radio, Marilyn Monroe was in the movies, astronauts were up in space, and family life in the suburbs was good. Consequently, the 1950s and 60s exploded with innovative and (at the time) avant-garde interior design. Furniture we think of today as essential period pieces (think the Eames lounge chair or Stilnovo chandelier) were just being thought up! 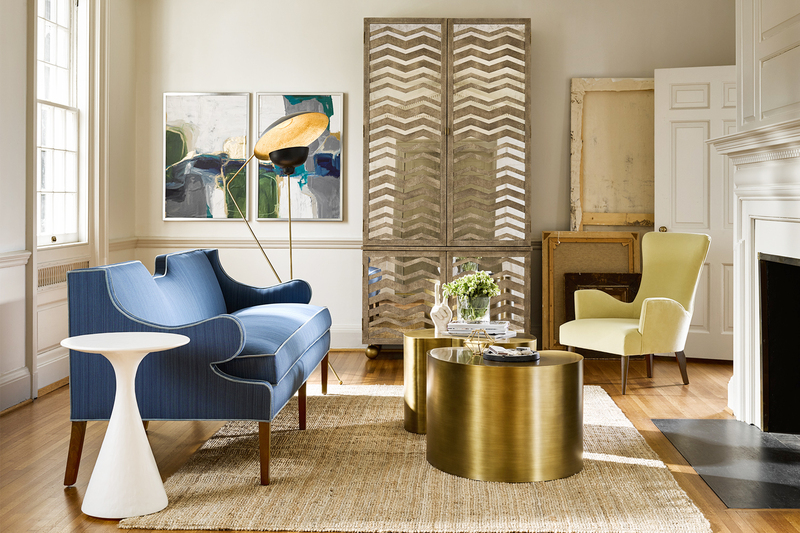 Mid-century design is still revered as one of the greatest influencers of modern interiors, and the Mad Men nostalgia has had such a resurgence in the past couple of years that we have decided to launch a brand new Mid-Century Modern collection on our site! 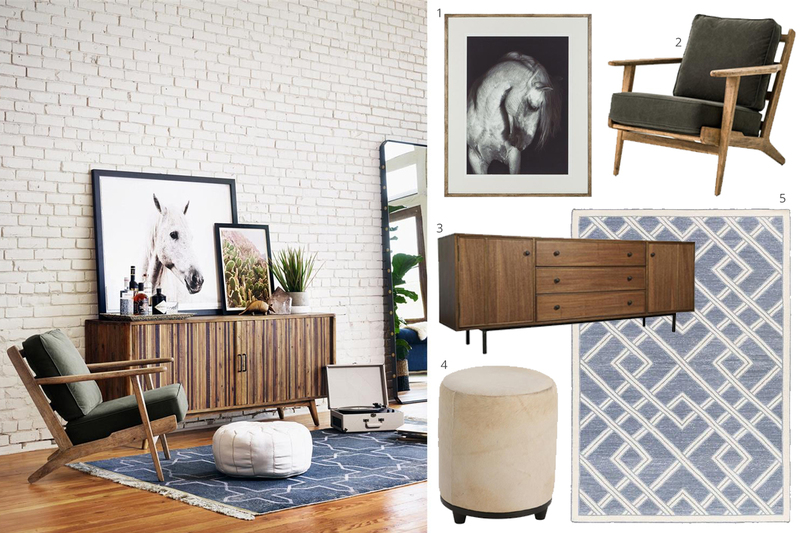 While the full collection is coming soon, you can shop a preview of the assortment with our Mid-Century Living lookbook! There you’ll find clean lines, geometric shapes, tapered silhouettes, and other beautiful pieces that bridge the gap between comfortable living and aesthetic perfection. 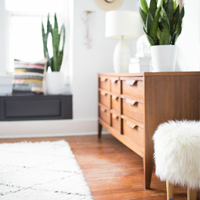 Read on for the mid-century modern must-haves you need to achieve this iconic look! The color palette for a mid-century modern look is flexible, which is great for incorporating hues you enjoy into your designs. Start with a base palette that is modern and neutral: white or taupe walls, brown wood furniture, and grey or blue sofas with wood legs, and metal light fixtures. Then, slowly add in brave pops of midcentury color. Think of shades like pumpkin orange, avocado green, bright teal, or mustard yellow! Creating a bridge between the indoors and the outdoors is a common interior design tip today, but in the 50s, the idea was revolutionary. Teak wood took the center stage with understudies including rose, walnut, and oak. 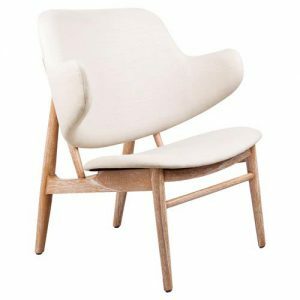 Because of its clean lines and sleek simplicity, mid-century wood furniture has a timeless appeal and will take part in almost any mid-century design. The mid-century connection to nature goes well beyond wood furniture. Mid-century designs became iconic because they successfully combined urban decor with natural materials. Exposed wood, earthy hues, and natural light are all vital. In modern design, live greenery is also incorporated. 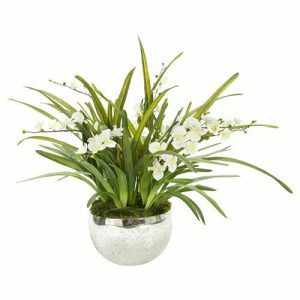 Add leafy plants and chic terrariums to your design, and it will breathe life into any space. Every home needs a little wow factor. 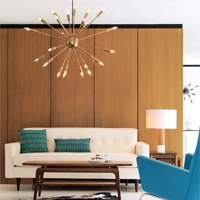 In a mid-century designed home, it’s often the lighting that makes that standout contribution. 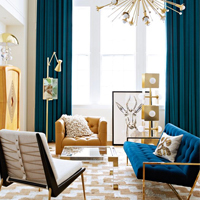 Metal finishes with actual sheen take the lead (think brass and chrome), and don’t be afraid to update the mid-century style with a glam-inspired twist. 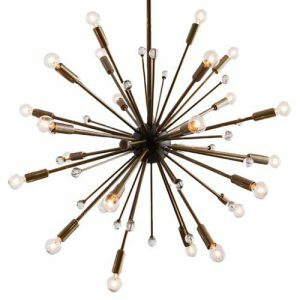 When thinking about shape, starbursts, sputniks, orbs, and other chic geometric lighting are great choices. Nelson, Noguchi, Eames, Saarinen, Warhol, Hockney, Pollock, Calder, Lichtenstein… the list goes on. The mid-century era is most famous for its household name designers and artists. 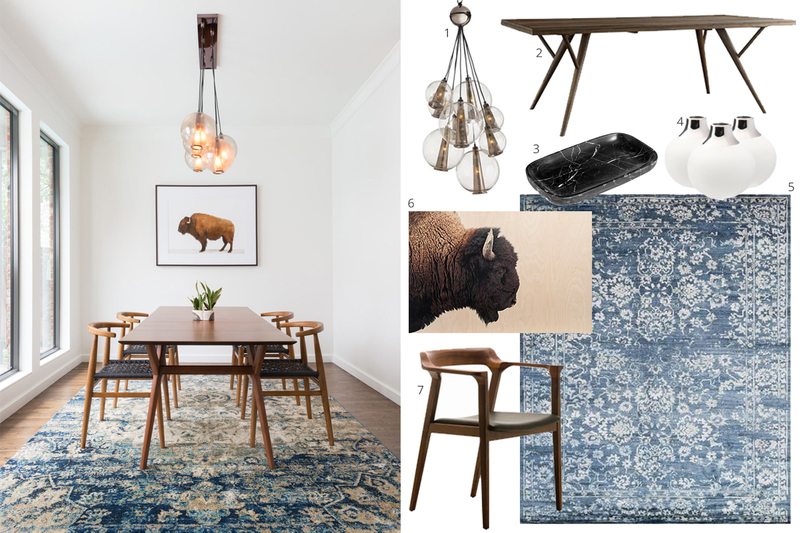 It’s important when designing a mid-century room to incorporate these defining pieces. And if an original is out of the budget, capturing the spirit with similar sleek silhouettes will do the trick. Find pieces with clean (but innovative!) lines and tables and chairs with tapered legs. The mid-century modern living room should feature bold colors and low profile furniture. Above, we love the look of a neutral-toned room with a color-saturated sofa, an oversized abstract painting, and attention-grabbing task lighting. You should also invite quintessential pieces such as an Eames Lounge Chair, unusual coffee table, or our fully customizable velvet Hughes wingback (shown above) into your look. Mid-century design ideas also mix well with other styles, especially industrial, regency, or Scandinavian. To make your midcentury living room look like it belongs in the present, don’t be afraid to blend in a few eclectic pieces! Textured upholstery, wood, acrylic, and metal are all welcome. Bold colors and funky patterns can live side by side. Enjoy the diversity the midcentury style allows, and don’t be afraid of putting different materials together. Choose sofas and living room chairs that are low to the ground for a relaxed look. Remember that midcentury homes are meant to look livable. 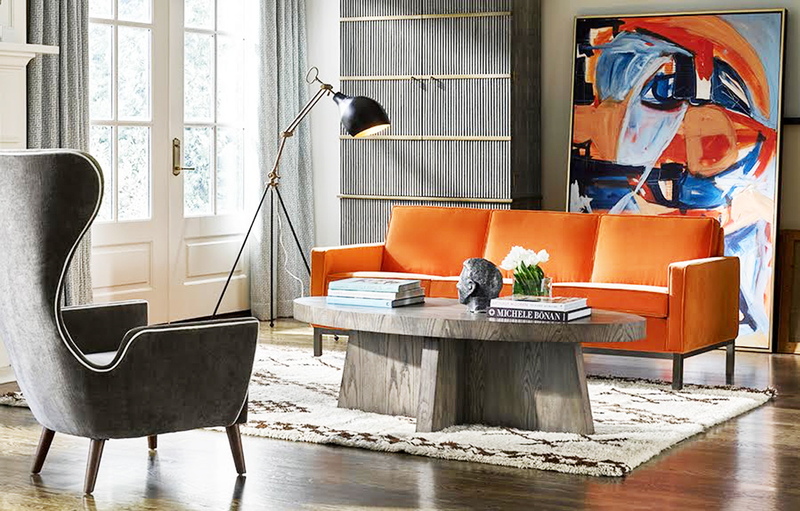 Low profile seating, accent tables, and coffee tables create a look that is easygoing and uniform. Whether it’s the famous lounge chair or another iconic silhouette, the designs by Charles and Ray Eames at the height of the mid-century modern design movement are something to aspire to. These pieces are ergonomically designed for comfort. You choose the medium. Whether it’s the in throw pillows, decor, upholstery… or maybe it’s the shade you paint the walls! Regardless, an intense burst of color is mandatory in a midcentury space. The mid-century dining room is focused, first and foremost, on function. 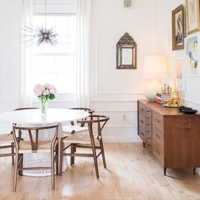 Each piece you select should allow for plenty of movement and easy mingling—this means a thin table and chairs with tapered legs. (Alternatively, round tulip tables, like our Charles Industrial Brass Tulip Table shown above, also work wonders). 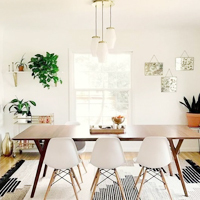 Remember that mid-century design flourished around the same era as the housewife and “the art of dinner parties,” so you want to create a space where you can both eat and entertain with plenty of storage and plenty of space for foot traffic. This type of pendant lighting is aptly named after the famous spacecraft that holds a significant place in the 1950s and 60’s. Unsurprisingly, the piece makes for a simple but exciting focal point in a mid-century design. 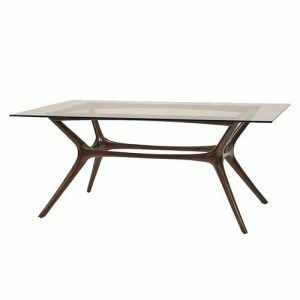 The beauty of mid-century modern furniture lies in its sleek, lightweight look. Tapered table legs and chair legs are an easy way to achieve this tailored modern elegance in the dining room. The midcentury was the era for dinner parties, so no proper dining room was without a bar cart. 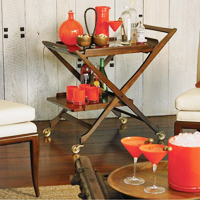 Not only is it convenient for cocktails, but a bar cart allows you to roll the fun from room to room. Get more bar cart tips on the blog here. Dining room tables are sometimes too bulky for their own good. Slim down and de-focus the dining table in a mid-century dining room to make opportunity for movement that’ll help you socialize and entertain guests. 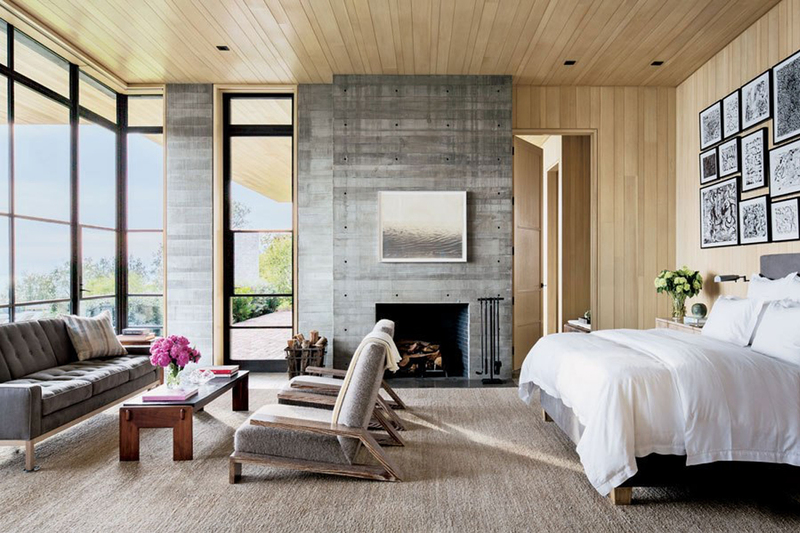 Minimal and cozy, an ideal mid-century modern bedroom channels energy and personality without any of the clutter. Neutral hues, comfortable seating, and soft lighting should be used to create the perfect atmosphere for settling down at the end of the day. And, of course, keep the sheets white and crisp for a light and bright look! 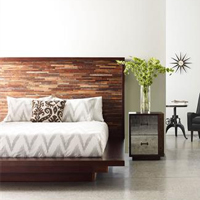 Nothing says mid-century bedroom like a no-fuss platform bed. Just like with living room furniture, choose woods like teak or walnut. This bed shown is our Larson Variegated Wood Platform Bed. Choose window treatments that allow natural light to pass inside and give your space a warm glow. 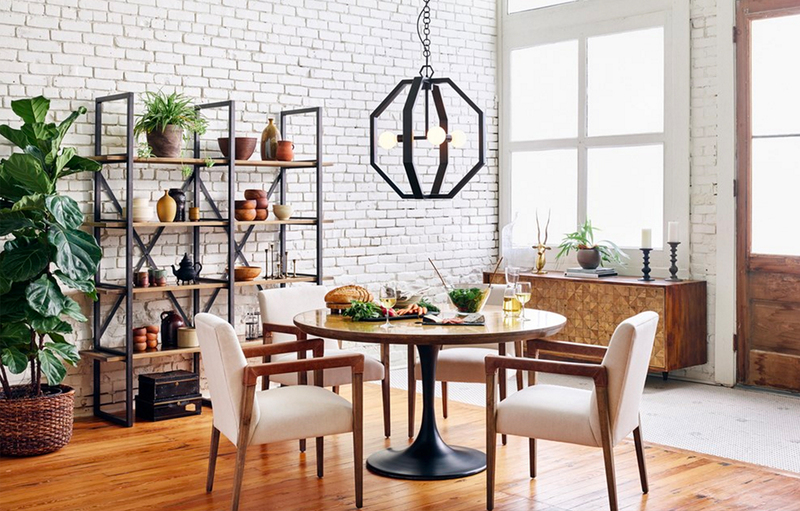 On lighting, choose pieces with thin silhouettes and sleek metal finishes. Unlike the living room, mid-century bedrooms tend to lose the bright colors in exchange for cool blues and greys. Your goal is to create an environment that’s simple and relaxing. 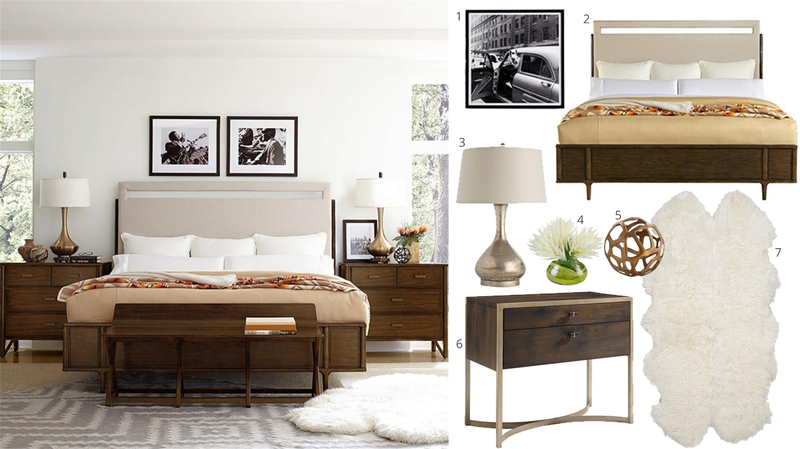 The mid-century bedroom is the perfect style for those who like things neat. Declutter by investing in shelves and storage, and keep surfaces tidy and wall art minimal. What’s your favorite part of mid-century modern design? Let us know in the comment section below! Hi Aryanna! We do too! Glad you enjoyed! Beautiful designs & decor! Where do I go to identify the designer of a midcentury piece I’ve found? It’s a square wood table with hidden chairs. Thanks for reaching out! I would go to a local appraiser who specializes in furniture and decor if you’re looking to find the specific maker/designer. This room is very pretty! This is such an amazing style! I love the mid-century dining room! Thanks for sharing the guide, it’s probably the best I’ve seen so far. Thanks Sean! We’re so happy you enjoyed the tips! This is one of the most beautiful articles in your website. I love your modern home decoration tips and ideas. Very Unique designs feel so good. Thanks for sharing Your Post…! I’ve recently become a big fan of the mid-century modern style. Thank you for this helpful article! I plan to incorporate some of these ideas in my home in Greensboro.